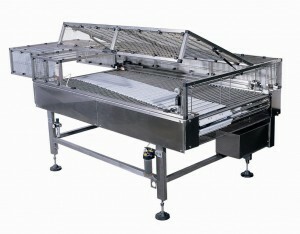 High speed, continuous motion, sort or merge of conveyed products. Utilizing a modular design process of manufacture gives LM the ability to quickly and reliably manufacture over 150 units per year, capable of meeting your specific need in terms of size, configuration, and speed. 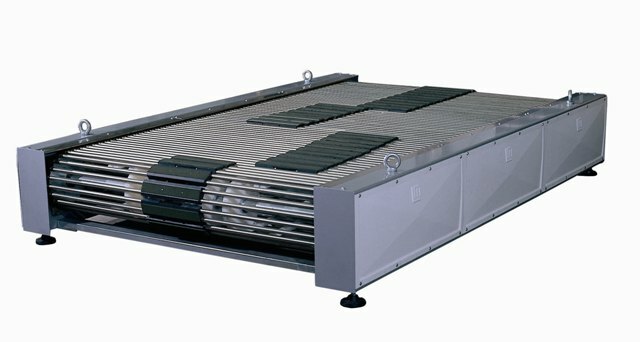 Optimizing freezing, cooling, or cooking tunnel conveyors by side shifting product as needed to fill unused areas of the belting. 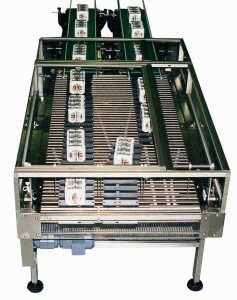 Layer preparation for palletizing or secondary packaging (which may include an upstream case turner to rotate cases as needed to maintain layr patterns.). 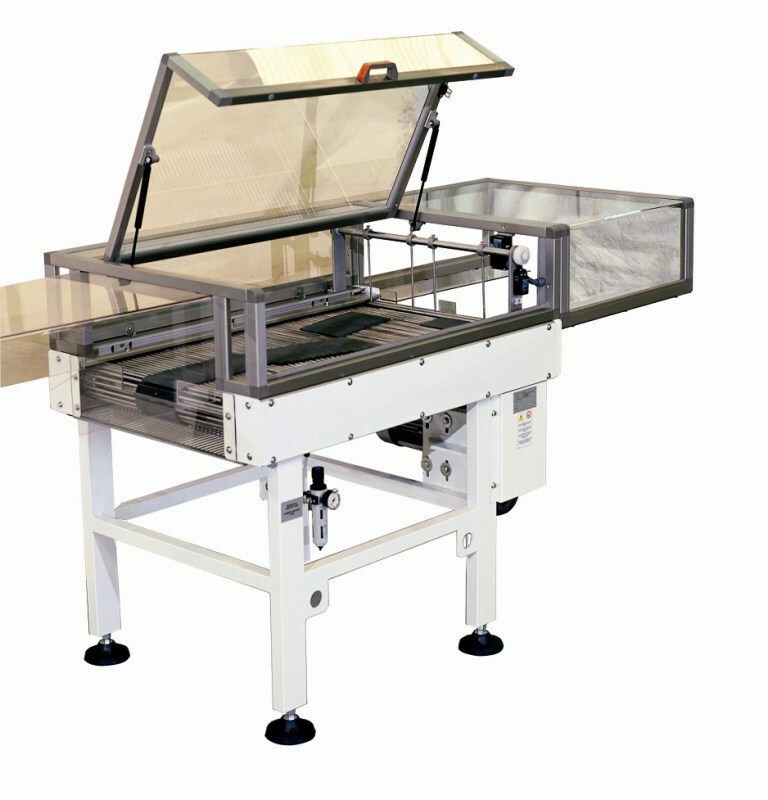 Very robust construction and a number of standard width’s and length’s, allow handling a large number of in-feeds and discharges. The D25 is most commonly used for all end-of-line needs for Food/Beverage, and Warehousing/Logistics .